Let me start last week. 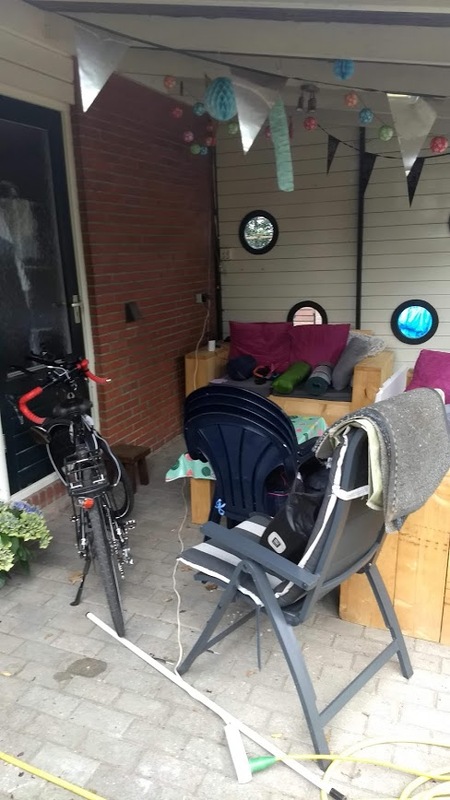 I decided to do a roadbike trip through the netherlands and belgium (I’m not allowed to say bikepacking, because I don’t have a proper seatbag for my roadbike). My mom came back from vacation on sunday, so I decided to start already and drive a few kilometers. Initially, I wanted to start on monday. I started at around 4:00 PM and Mario brought me to the ferry. In the night from sunday to monday, I was wild camping (it’s illegal) near Brake, around 40km from home, a very beautiful place actually. It was my first time alone in a tent, and as I’m scared in the dark, it was one of the hardest nights I ever had. For some idiotic reason, I started my trip with an empty power bank and nearly empty phone battery – I thought that the solar panel can power it both and give me enough juice for the night. The sun was weak and I went into the tent with 20% phone charge. Before I felt asleep, I heard noises and thought that someone is gonna steal my bike, so I called Mario and brought my bike to my tent. I turned my phone off at 6%. In the middle of the night, I heard chainsaws and warning horns very near to me – looks like someone was cutting trees or whatever. I woke up in the morning at around 5:00 AM, and my phone was about to be empty. The sun didn’t shine yet (obviously it was really cold), so I drove to thew city center of Brake and charged my phone in a bakery. 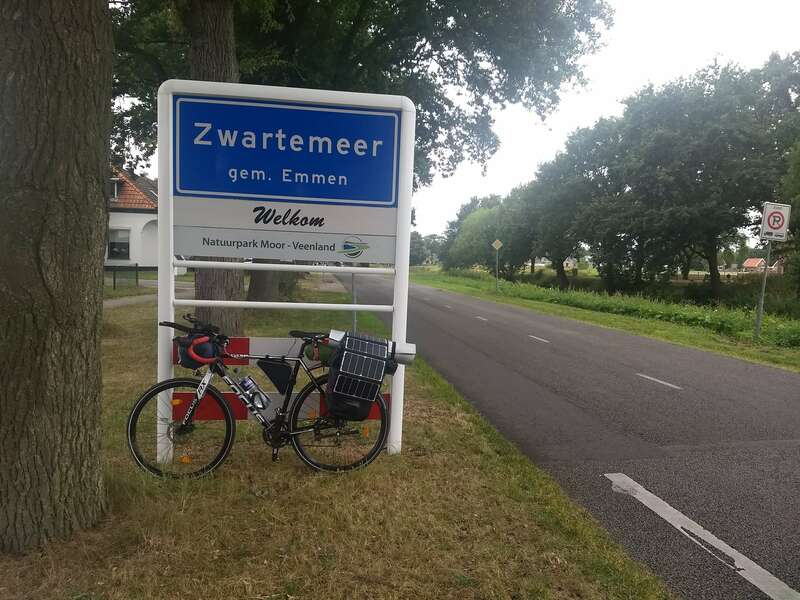 I started my trip to Emmen in the netherlands. At around 15:30, I crossed the border. I met Jarno and he brought me a power bank by car. We then wanted to meet in the city, but it started to rain and I stopped at some random house. 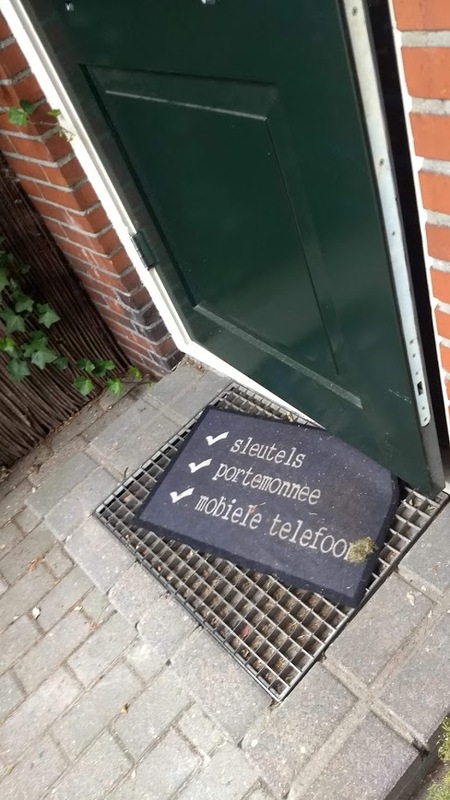 Someone came out and I asked them if I can sleep in their Carport; that literally saved my day as I was about to cancel my tour and go back to germany. I wasn’t prepared for rain at all, and based on the weather forecast, both Jarno and me didn’t expect it too. 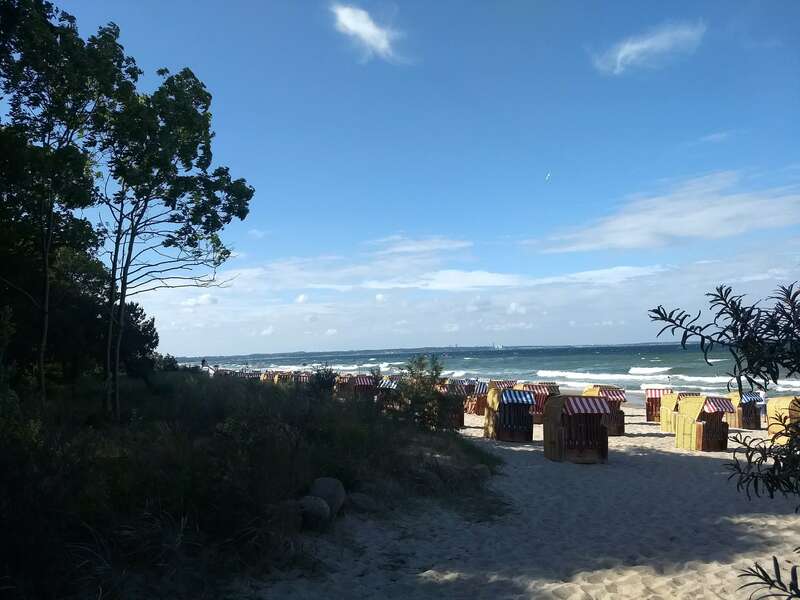 In the evening, I was very unmotivated and I thought about ending my tour and going back to germany by train. 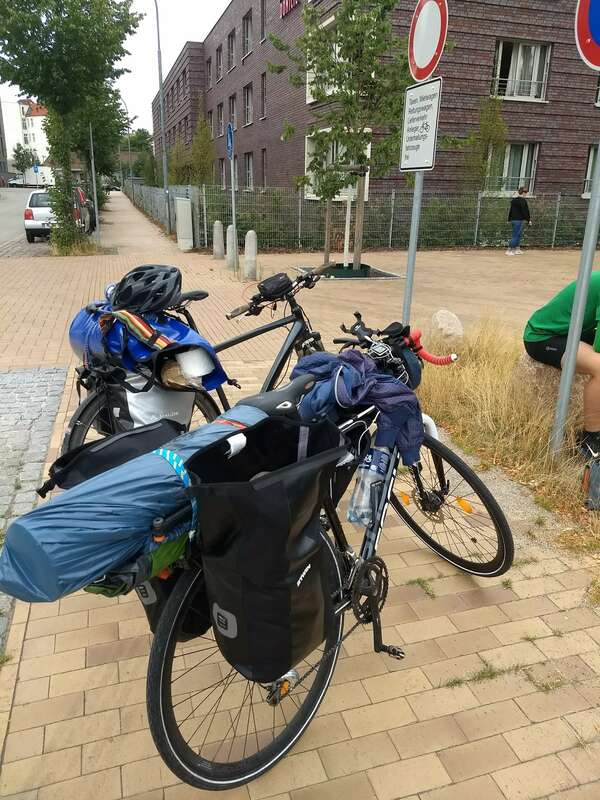 Through another bikepacking whatsapp group, I know Simon who is on a trip from germany to Kopenhagen. I decided to go to Lübeck by train and follow him on his trip. 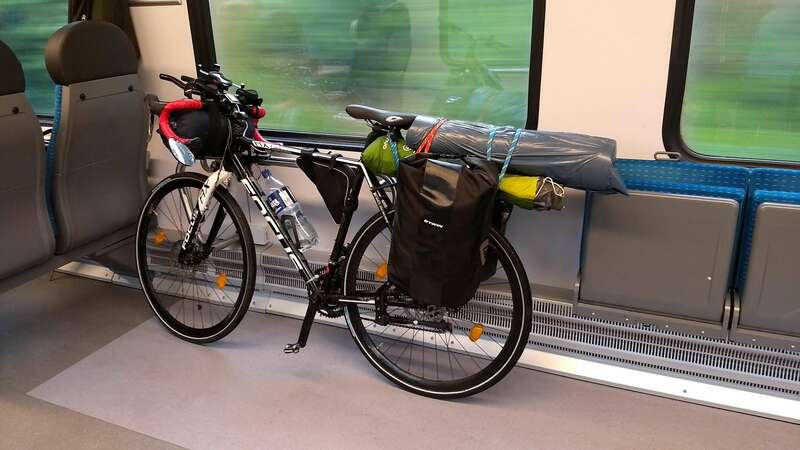 After just 20 kilometers with him, I noticed that my stamina isn’t ready for that many hills and so much headwind, so I decided to go back home by train.